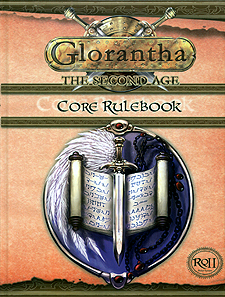 Glorantha is a world permeated by magic and shaped by myth. Its heroes achieve power by questing for runes, physical manifestations of the eternal abstract forces that shape its destiny. Eventually they graduate to even more powerful magics, learning to gain power by emulating the deeds of the gods, mastering the arcane formulae of the sorcerous arts, allying with spirits or achieving meditative awareness of life's unknowable secrets. In doing so, they draw on one or more of the mythic Otherworlds surrounding their everyday material world. With the right magic, they can travel to the realms of the gods, become participants in their ancestral myths, and return with wondrous new abilities. Those who fail these daunting tests may be diminished, destroyed, or eternally lost in the mythic realms.